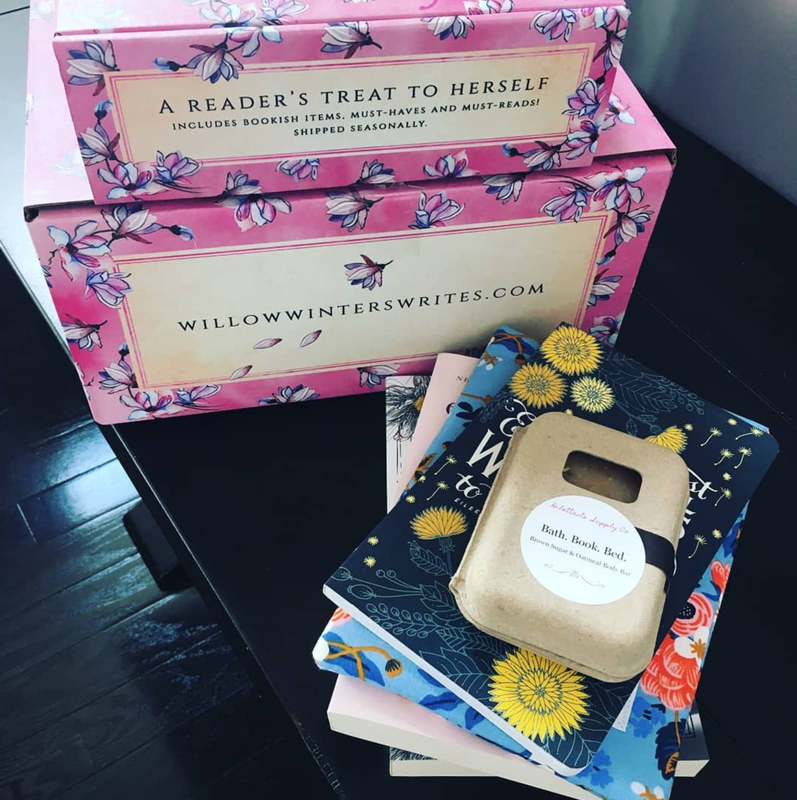 What’s the difference between the Big Book Lover and Willow Mystery Boxes? There is nothing that overlaps between the boxes. There is also a small "add on" that can go with anything chosen - a Willow or a Big Book Lover box. It's similar to the Big Book Lover boxes but much smaller as it's only an add on. Again, there is no overlap. More details are below! A Readers Treat to herself. NOW TAKING ORDERS FOR SPRING BOXES! The Essential Book Lover box is a mystery box! Which are my favorite type of boxes. What’s inside the Big Book Lover box? At least 3-4 full sized bookish items like totes, jewelry, bath products and, my personal favorite, mugs! The items vary but they’re always something you’re going to love! 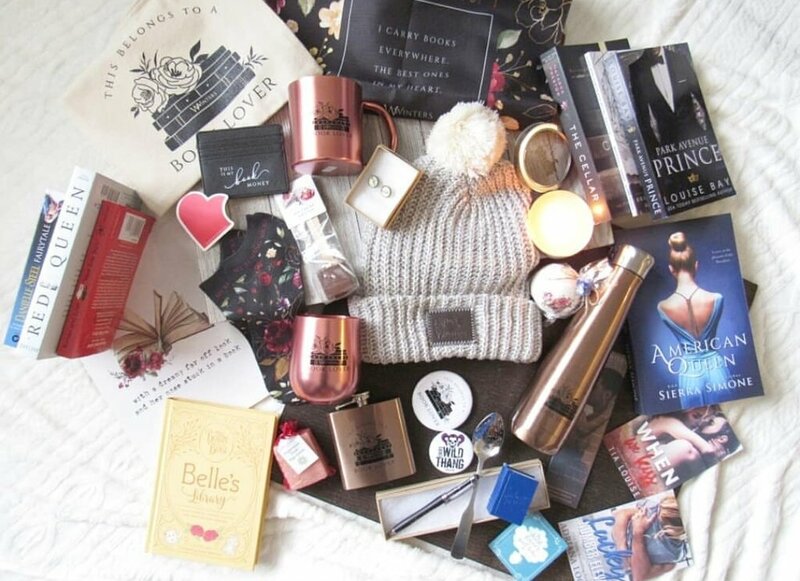 The Book Addict box is a fabulous treat for book lovers and a fantastic deal as well. Filled with must-read books, full-sized book-lover themed items, and accessories you're going to love. The Big Book Addict box is a readers' treat to herself. At least 6 or more full sized bookish items like totes, jewelry, bath products, pillow covers, and, my personal favorite, mugs! The items vary but they’re always something you’re going to love and everything is themed for book lovers ALWAYS! There is no overlap with the Willow Winters Mystery Box. These boxes are full of surprises! 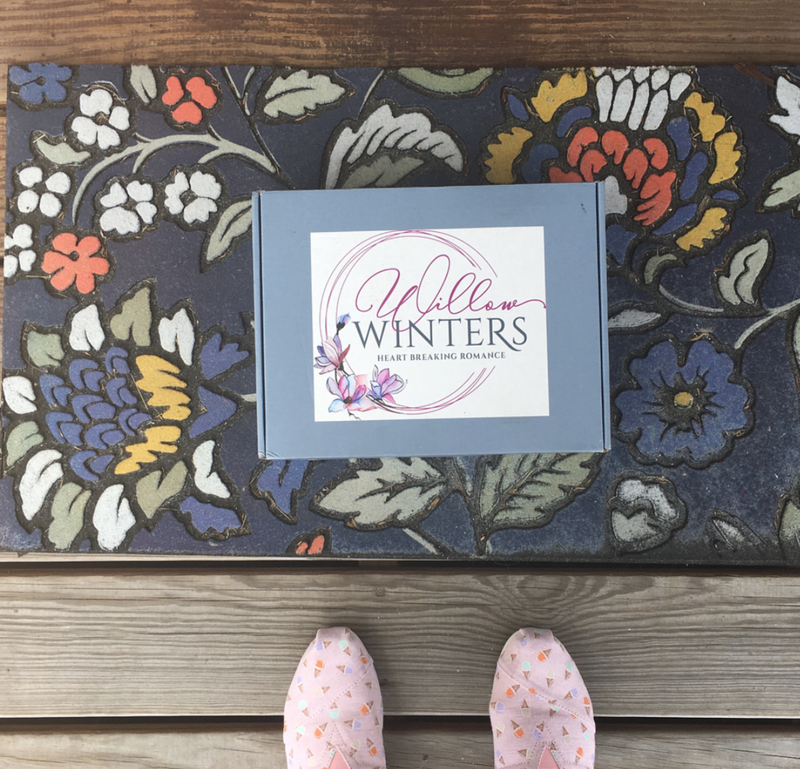 Every season I will be mailing out a new box full of official Willow Winters merchandise, signed books and Willow Winters SWAG! Boxes will be shipped out at the end of September, December, March and June! There are three different options and you can keep that option for every season or upgrade any time! Single purchase and subscription options available. Current Mystery Boxes ship in March! Small sized Mystery Box is 24.99. 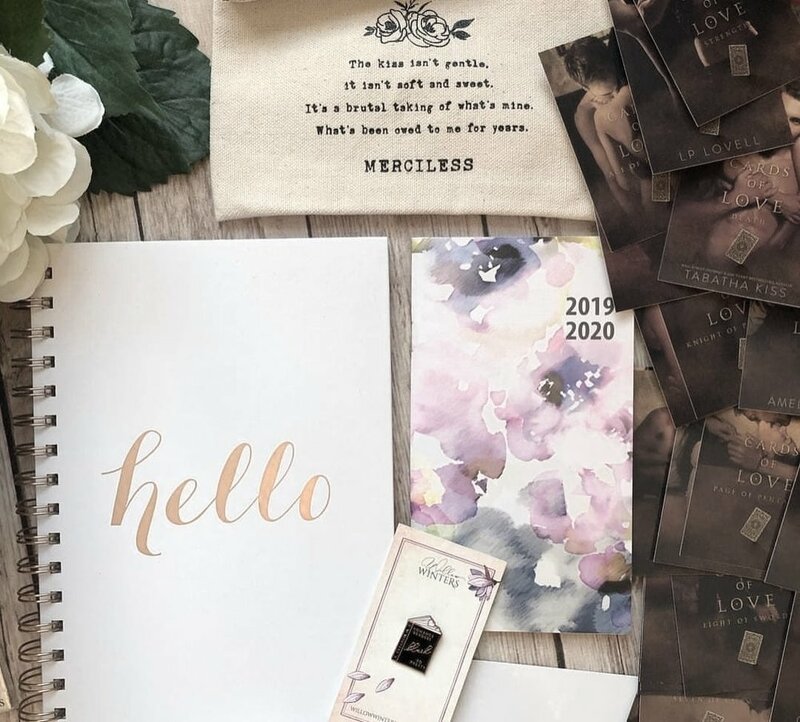 This box contains Willow Winters SWAG and merchandise and of course and an exclusive autographed paperback not available anywhere else for purchase. Medium sized Mystery Box is 49.99. This box has all of the official Willow Winters SWAG and exclusive items from the small sized box with MORE! It includes an additional signed book plus more SWAG! Large sized Mystery Box is 74.99. This includes everything and MORE! These boxes include everything in the other two boxes with the addition of a surprise exclusive piece of SWAG! Book Lover add on is 24.99. It will include a MYSTERY signed paperback that Willow loves and recommends as well as book lover goodies, not Willow SWAG - not related to Willow at all. Just treat-yourself book-loving must haves! You must purchase a subscription box in order to add this upgrade! Get the Book Lover add on HERE! What's been in the previous WILLOW boxes? What's been in the previous BOOK LOVER boxes?